On 1 December 2015, EOS took part to the Think Forest seminar on “Climate policy targets: how can European forests contribute” organized in the framework of the COP21, in Paris. 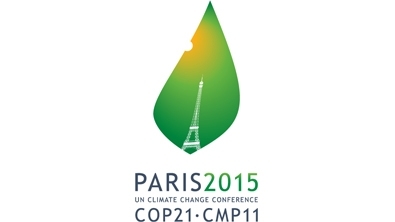 The event brought together policymakers, scientists and stakeholders at the COP21 Climate Generations area in Paris. Discussions focused on three major issues: expanding the mitigation potential of forests, the bioeconomy and the possibilities it offers for substitution of fossil-fuel based products, and economic incentives. Prof Lucas Bretschger (Professor, President Elect of the European Association of Environmental and Resource Economists, CER-ETH Center of Economic Research at ETH Zürich) talked about the need to design efficient and fair climate policies. Climate policies, for example a uniform carbon price, have an equity cost. Trying to find an acceptable balance and compromise is at the centre of the COP21 negotiations. The Member of the European Parliament, Mr Paul Branner emphasized the role of wood products in a climate change prospective and he stressed the importance of having more European funds for the development of agro-forestry to be used in the bio-energy production. Moreover the new EFI science-policy study ‘ A new role for forests and the forest sector in the EU post-2020 climate targets ’, was launched at the event and presented by Prof Gert-Jan Nabuurs . He highlighted that “If you look at global forests, there are not that many regions in the world where forests are sustainably managed. EU forests are a fine example where you can find a balance – we should see the opportunities here”. According to Prof Nabuurs, European forests and the forest-based sector are already contributing significantly to climate change mitigation and substitution, amounting to some 13% of EU emissions. They have the potential to contribute more – even up to an additional 9% – through Climate Smart Forestry. This is an approach which mainstreams climate mitigation by using forests and the forest sector, and related policies and measures in a way which makes use of the different regional characteristics and circumstances of the EU Member States. Wood demand from the forest and bioeconomy sectors in the different regions of the EU is difficult to forecast. It is subject to many uncertainties and depends, for example, on how forest bioenergy is viewed in the post-2020 EU climate policy. Referring to the LULUCF options it was recognized that the “optimal approach would be to pursue cost-efficiency, possibly based on considerations of fairness and GDP. The target should be determined based on each Member State’s mitigation potential, set, for example, by forest area, forest productivity, timber prices and the role of forest industry. Fairness would be ensured by taking into account GDP and per capita emissions”. Finally MEP Paul Branner (European Parliament)and the Former Prime Minister of Sweden and Think Forest President Göran Persson were both provided with copies of the “Building with Wood” booklet and EOS message for the COP21.